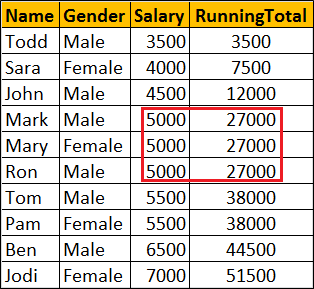 In this video we will discuss how to calculate running total in SQL Server 2012 and later versions. 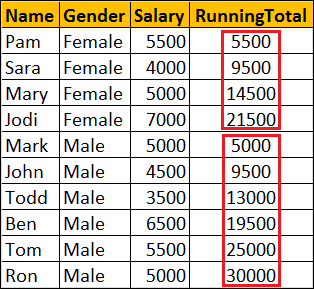 If you have duplicate values in the Salary column, all the duplicate values will be added to the running total at once. In the example below notice that we have 5000 repeated 3 times. 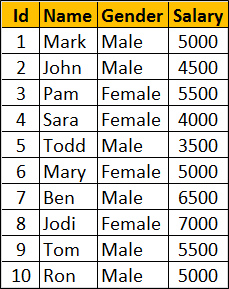 So 15000 (i.e 5000 + 5000 + 5000) is added to the running total at once. 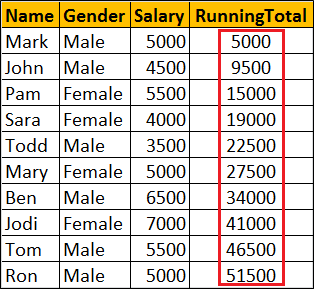 So when computing running total, it is better to use a column that has unique data in the ORDER BY clause. How do we do in 2008 , Can you please explain the same query in below versions of 2012.